My garage clear-out yielded these two group photos of my grandmother Fannie B. Woodruff and her five sisters, Jennie, Flora, Mildred, Cecelia, and Bertha—the children of William Earl Woodruff and Wealthy Ann Angus. The photos were damaged and faded, but some “Photoshopping” has helped to revive them a bit. Oldest sister Jennie died in October 1955 so the image was obviously taken sometime prior to that. Sister Flora Ulrich lived out in California, so maybe this photo was taken to commemorate her visit to New Jersey or to mark some other special/solemn occasion, perhaps even the death of one of their spouses. My grandfather died in May 1951 and Jennie’s in December 1953. The location I am not sure of; but I think it may have been my grandmother’s home in Scotch Plains, NJ. I think it’s somewhat sweet that in the top photo they are all looking in different directions as if trying to catch their best sides. In the photos I have of them in their much younger years, all heads were always pointed in the same direction. 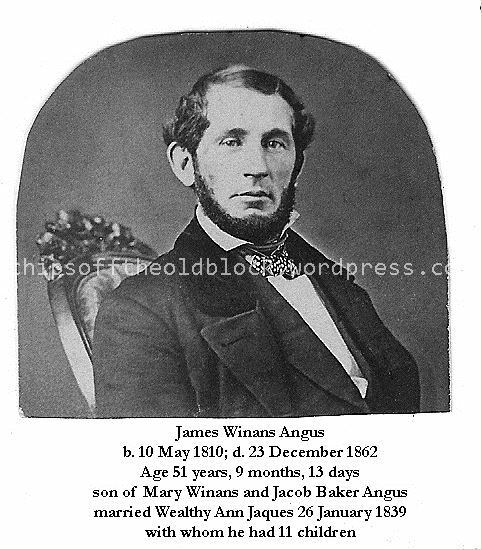 My second great grandfather James Winans Angus was born in New York City on 10 May 1810 to carpenter Jacob Baker Angus (b. Albany, NY) and Mary Winans Angus, (b. Elizabeth, NJ). Two sisters and one brother followed: Abigail Winans Angus, b. 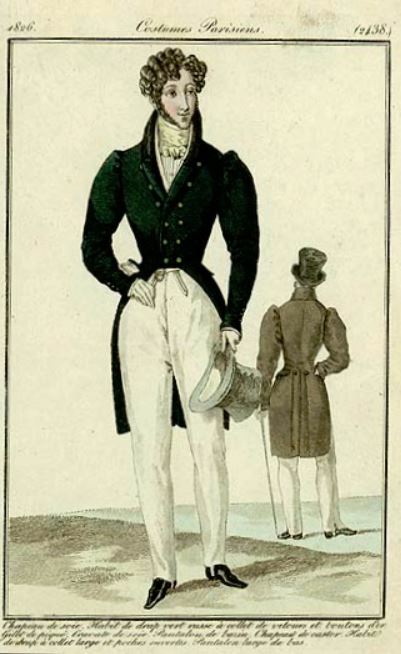 1812; Martha Winans Angus, b. 1818, and Job Winans Angus, b. 1821. In 1820, the family was living at 123 Pump Street*. Pump Street has since been renamed. According to the website www.oldstreets.com, in the late 18th to early 19th centuries, Pump Street was initially a street in the Delancey Farm Grid, from the Bowery east to Division Street. About 1800 it absorbed Nicholas Street, thereby extending the name west to the present Centre Street. In 1829 Pump Street itself was merged into Walker Street. Since 1855. most of the former Pump Street has been part of Canal Street. Of course, Lower Manhattan was a vastly different place +/- 200 years ago. If you’re familiar with Manhattan, you know that today Canal Street runs through Chinatown. 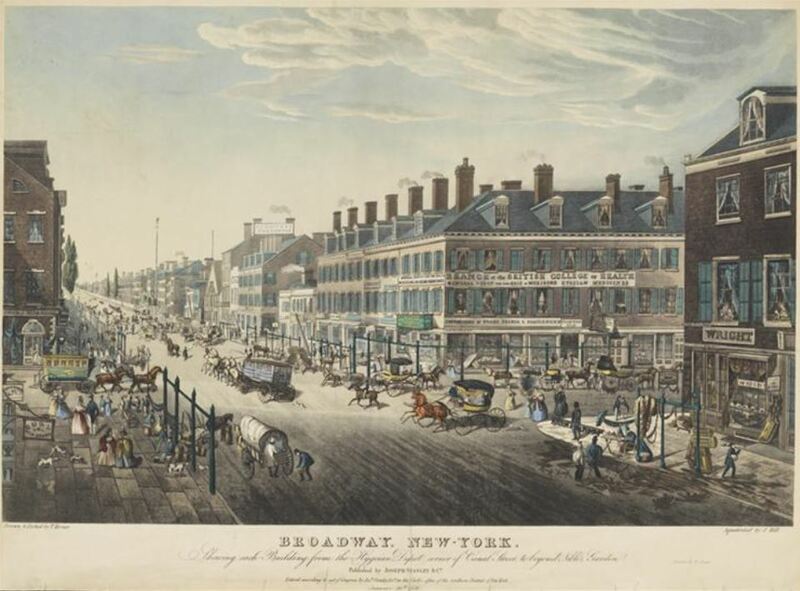 The below image from 1836 shows the bustling world in which New Yorkers of that era went about their day-to-day activities. Tragedy struck the family on 27 November 1824, when Mary died, leaving Jacob with four children aged 3-14. Jacob remarried according to family records*, although unfortunately at the time, no one saw to it to write down the name of the second wife—so her identity remains a mystery, as far as I know. 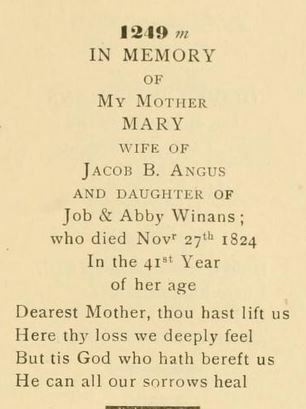 When Jacob died several years later on 29 March 1828, James, 17, and his siblings went to live with their *Uncle Elias Winans, their mother Mary’s brother. Elias’ wife, Abby, likely took the leading role in looking after the children. County, N. J. ), but there are no court records showing that any of the other children were legally made wards of their uncle Elias. James Angus attended elementary school in Elizabeth, N.J., where he lived with his uncle, Elias Winans, following the death of his parents. (Stryker-Rodda, p. 9) I am wondering if perhaps James went to live with Elias prior to his father’s death since he was already 17 at that time and would otherwise not have been in Elizabeth for more than his last year or two of high school. Certainly the two youngest children would have attended elementary school there, but not James. Further down page 9, Stryker-Rodda records that On 25 April 1835 James [age 24] was working at his trade [carpenter, wood craftsman, & coach-maker] in Paterson, N. J., [Passaic Co.] where he purchased a house lot for $200 on the southeast corner of Parke Street (Essex County Deed Book Y3:38). In October of the same year he and George R. Skinner paid $1200 for a piece of land in Paterson on the west side of Union Street, 120′ x 167′(B4:280). This was followed in November by the purchase for $550 of a house on a lot 15′ x 56′ on the west side of Marshall Street in Paterson. 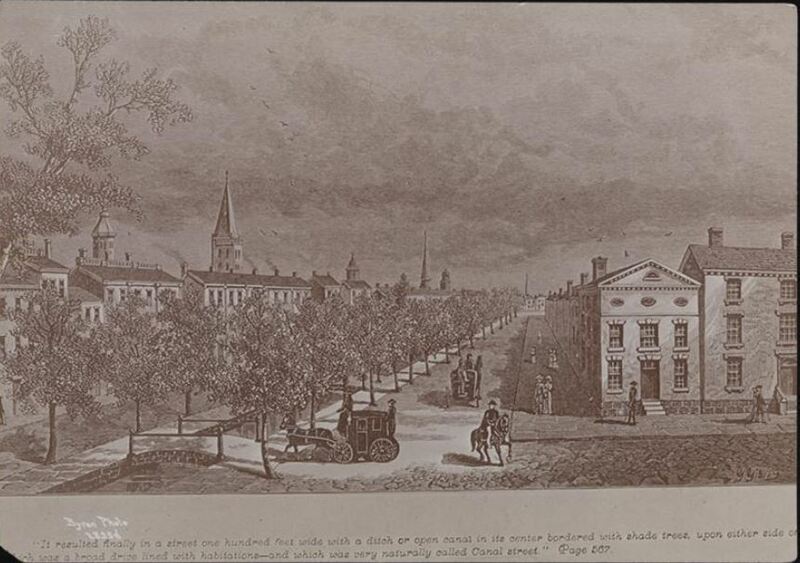 In May of 1836 he sold the land on Marshall Street for the same price he had paid for it (F4:53l). James Angus’ and George R. Skinner’s partnership ended about the time James married. On the 8th of February, 1839, orders were recorded for a Sheriff’s sale of their holdings in Elizabeth [Essex Co.], on the west side of Union Street, a lot 122’xl67’xl09«, which they had purchased from George W. Halsted. The sale was to satisfy debts owed to Jacob G. Crane and William Mulford. It was carried out on 3 December 1839 at Gaylord’s Hotel (Essex County Deed Book D5.-245 ff). James was bouncing around quite a lot back then, not surprising for a single young man in his twenties. 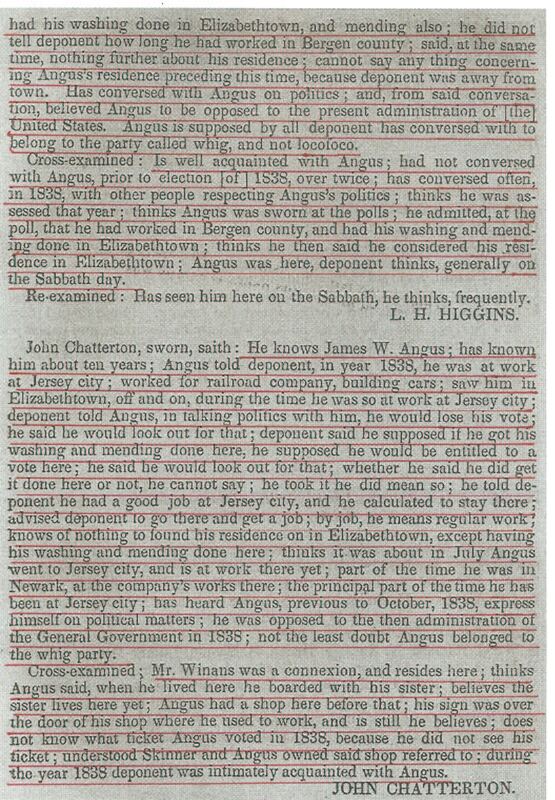 Thanks to all that bouncing around, we are privileged to have more information about James from the publication Testimony in the New Jersey Contested Election: May 26, 1840. Apparently his place of residence, and hence the legitimacy of his vote, was at issue in the 1838 NJ elections. And that hotly contested election was a really big deal at the time. 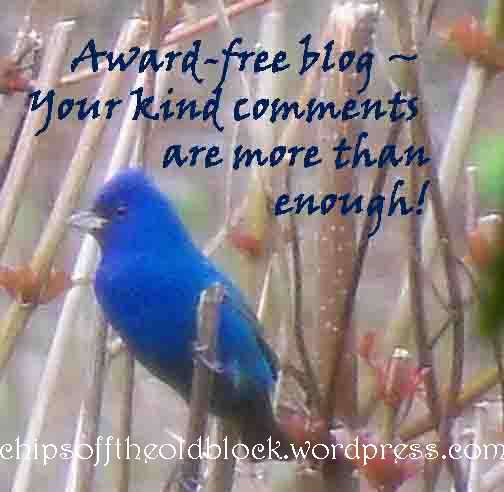 For an excellent write-up on what all the fuss was about, visit this blog post on the Blue Jersey website. Various individuals testified about James’ vote. 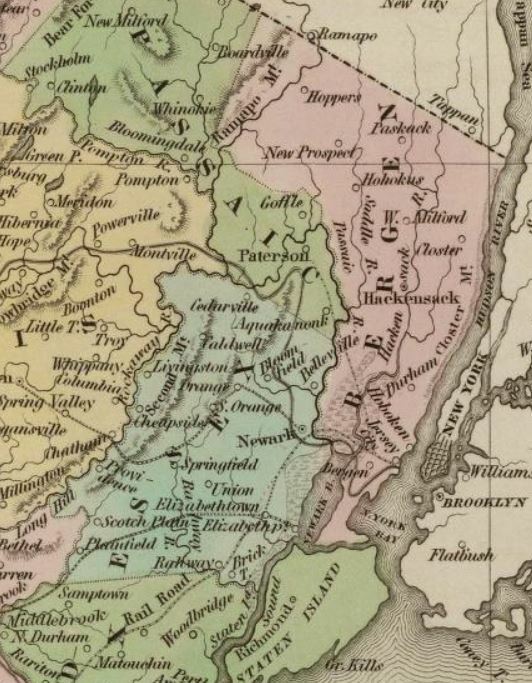 I’m including a map here that shows the 1838 borders of Bergen, Passaic, and Essex counties. You may find it useful to refer to as the borders have changed since then. According to Wikipedia’s entry for Essex County: In 1837, Passaic County was formed from portions of Essex and Bergen County. 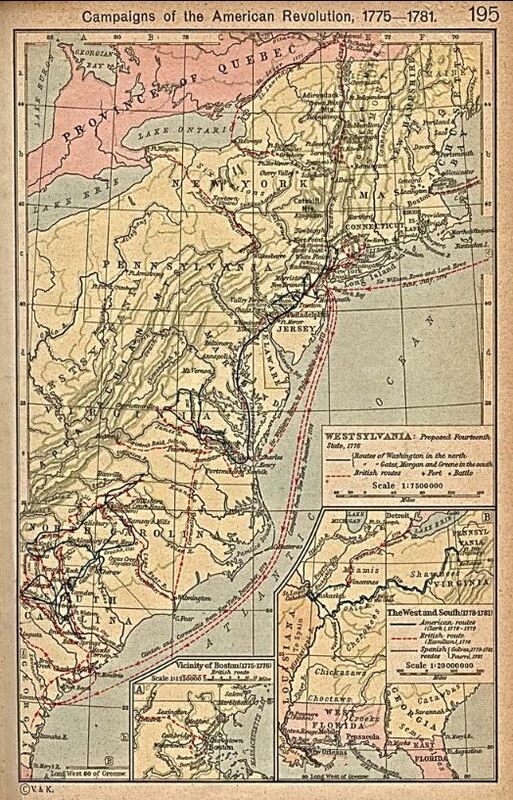 In 1857, Union County was created from parts of Essex County. Today Elizabeth is in Union County, but back then, it fell within Essex County. 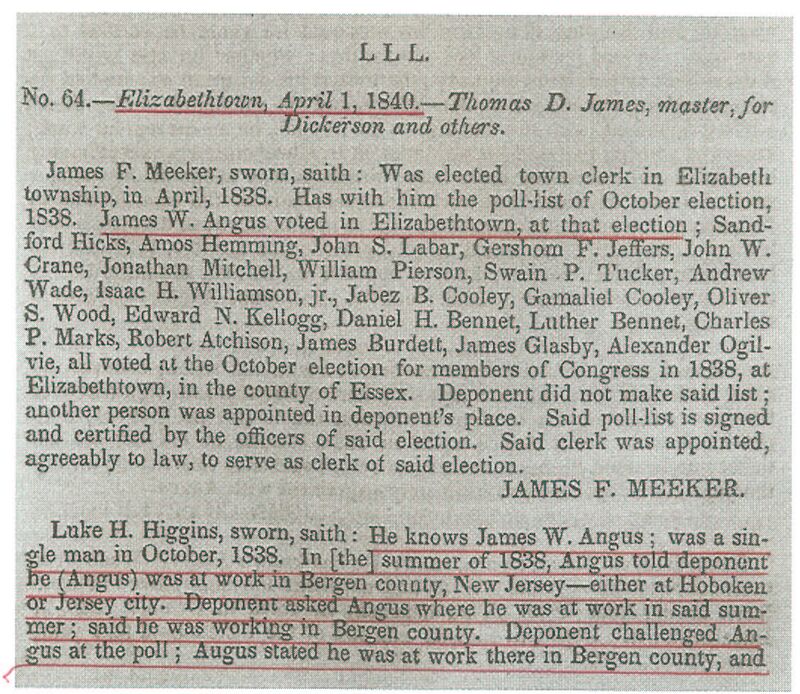 James’ 1838 vote was recorded in Elizabethtown (then part of Essex Co.). Testimony in the New Jersey Contested Election, May 26, 1840 (Published by US House of Representatives: 12 May 1840), p. 335. The second individual to testify was John Chatterton, who claimed to have known James for about 10 years. 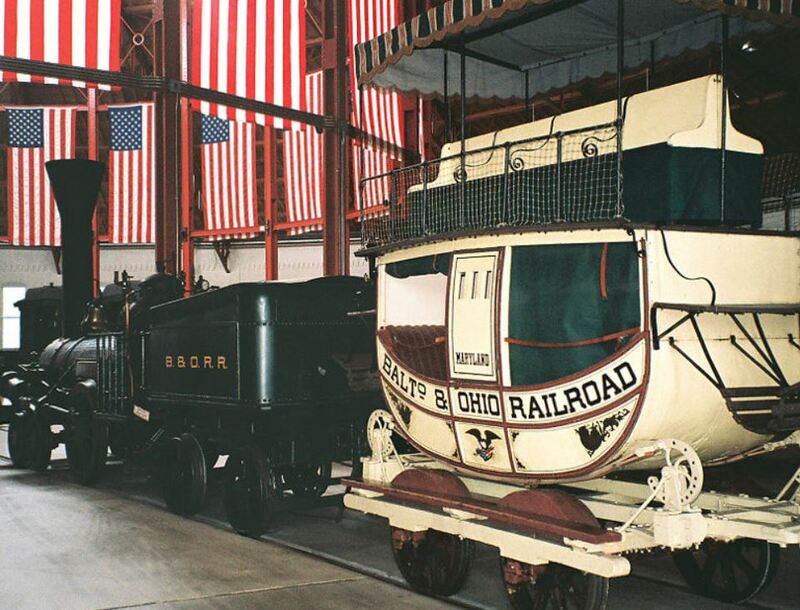 He said James was in Jersey City in 1838, working for the railroad, building cars, and that he saw James in Elizabethtown, but could not say whether James resided in Elizabethtown or not. He knew James got his washing and mending done there. 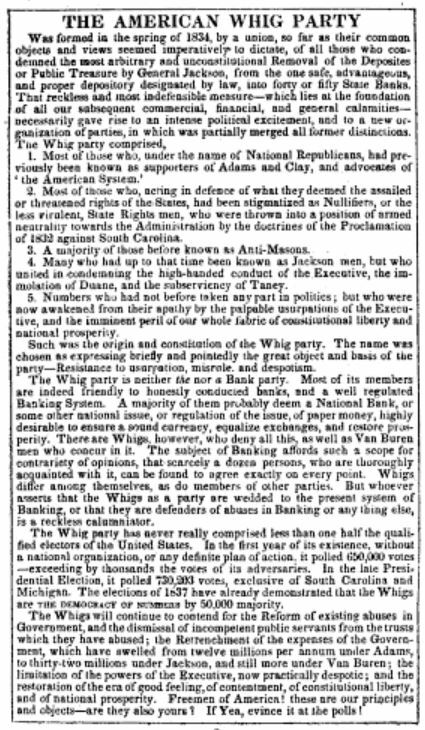 He also knew of James having work in Newark as well, and knew James’ political views and that he was in the Whig party. Upon cross-examination, Chatterton said he knew Mr. Winans [Elias, I presume] was one of James’ links to Elizabethtown and that he thought James boarded with a sister [Martha (never married) or Abigail Angus Woodruff (married to Henry King Woodruff)]. Chatterton stated James had a shop in town that still had James’ sign outside of it and that the shop may have been owned jointly with Skinner [a reference to the aforementioned George R. Skinner]. Chatterton knew nothing of how James voted during the 1838 election. Testimony in the New Jersey Contested Election, May 26, 1840 (Published by US House of Representatives: 12 May 1840), p. 336. 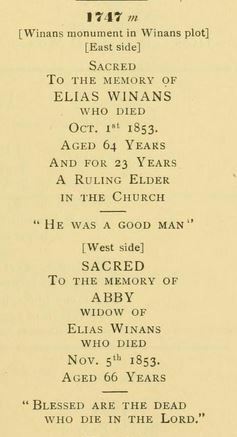 The last person to testify was the aforementioned Jacob G. Crane, who said he believed James’ place of residence the year prior to the elections was Elizabethtown, and that James lived with his aunt [Elias’s wife Abby Winans (Elias was still alive at this point) or one of Mary Winans Angus’s sisters?]. Jacob thought James was usually in Elizabeth from Fridays through Sundays, and thought James’ carriage-making business had been up and running in Elizabethtown for two-three years before the 1838 election, but that he broke it up right before the election. Crane said James worked in Jersey City building carriages and remained residing with his aunt until he married in February 1839 [the marriage actually took place on January 26, 1839]. Then when cross-examined, Crane said James and his new wife [Wealthy Ann Jaques] lived for a time with James’ aunt, but that they then moved to Jersey City, where James’ work was. Another reference to James’ business with Skinner was made. Crane commented that he knew James had paid his taxes in Elizabethtown. Testimony in the New Jersey Contested Election, May 26, 1840 (Published by US House of Representatives: 12 May 1840), p. 361. Testimony in the New Jersey Contested Election, May 26, 1840 (Published by US House of Representatives: 12 May 1840), p. 76. Testimony in the New Jersey Contested Election, May 26, 1840 (Published by US House of Representatives: 12 May 1840), pp. 718-719. Well, that’s all I have for today. 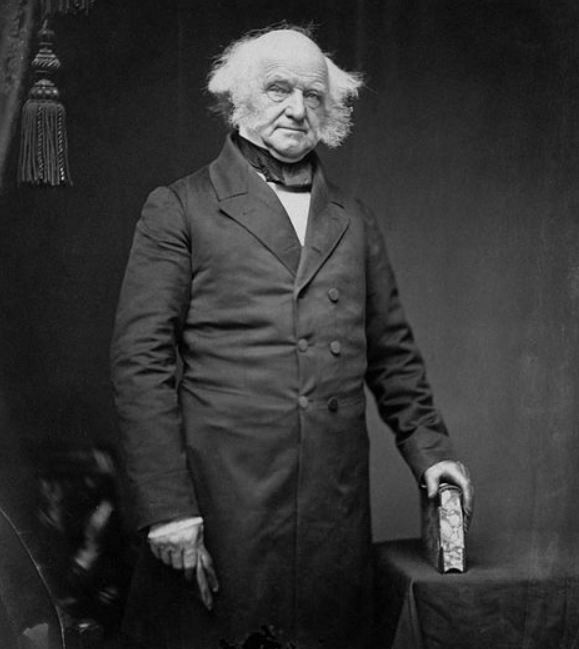 More on James Winans Angus in an upcoming post… As always, comments, corrections, additions are most welcome. 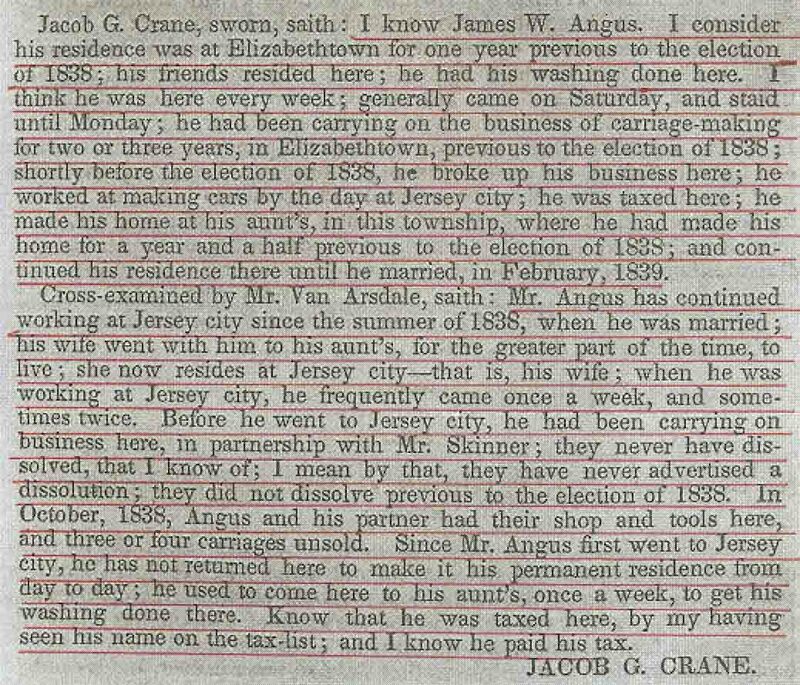 A side note: In my hunt for information on James, I also came across newspaper articles between 1834-1836 referring to a bill in the New Jersey legislature to allow “James Angus, of Patterson” to divorce his wife (once named as ‘Ann’ and another time as ‘Mary’). I’m sure this is a red herring, but for the sake of satisfying my curiosity, I would love to visit NJ state archives to find out what this case was about. Apparently, at that time, in certain situations, people were able to have their marriages dissolved by the legislature. In this case, the bill to dissolve this James Angus’ marriage was eventually passed on Saturday morning, January 24, 1835***. 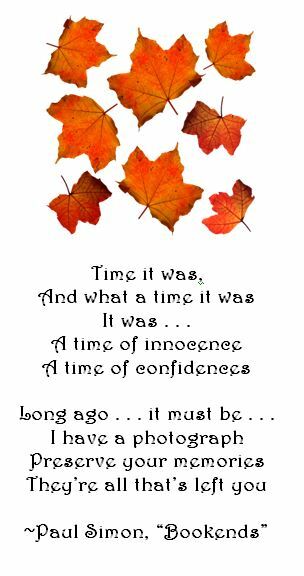 **Wheeler, Wm Ogden. Inscriptions on tombstones and monuments in the burying grounds of the First Presbyterian church and St. Johns church at Elizabeth, New Jersey.1664-1892. New Haven: Press of Tuttle, Morehouse & Taylor, 1892. 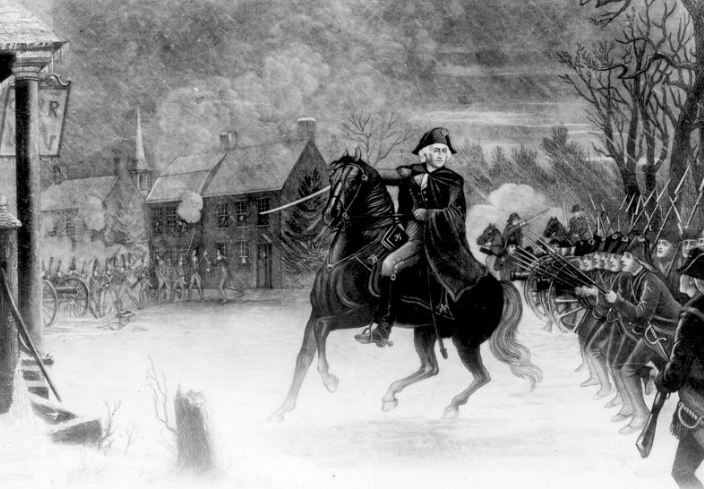 Washington at the Battle of Trenton. 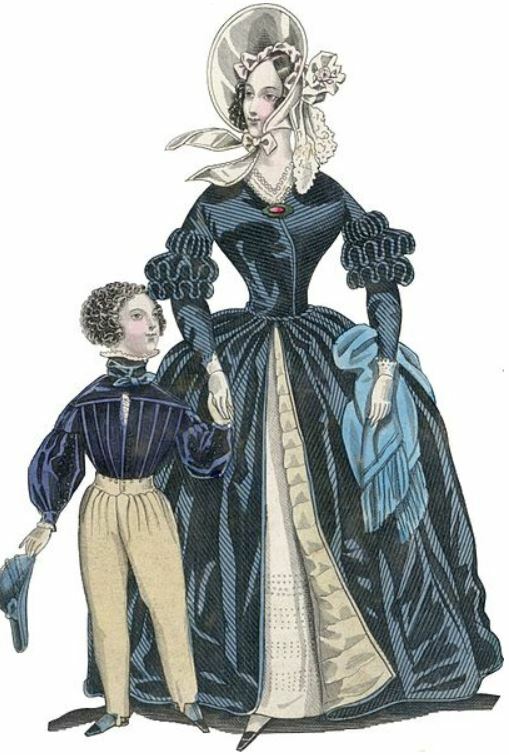 An engraving by Illman Brothers. From a painting by. E.L. Henry, 1870. Image in public domain due to expired copyright. 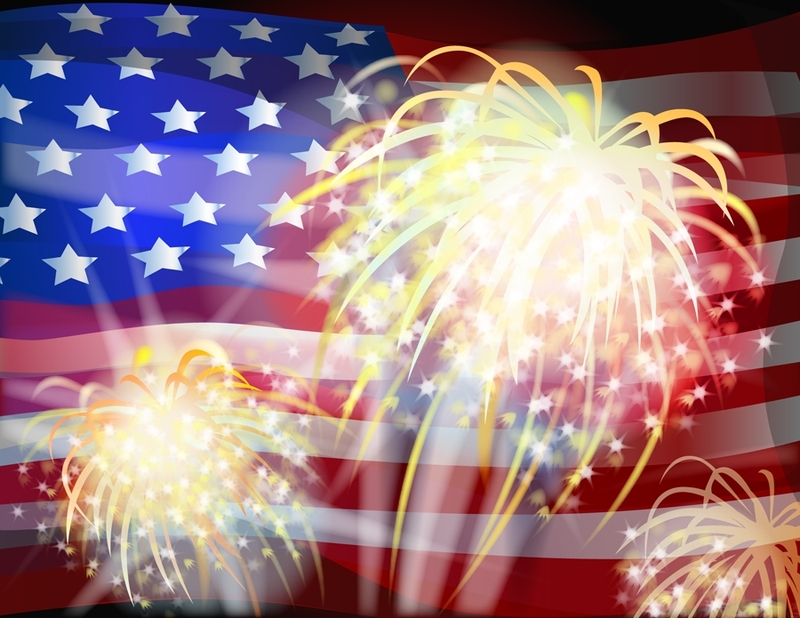 This 4th of July, we remember our ancestors who served in the Revolutionary War and, if they were married at that time, the wives who supported them in their service. Yes, nieces and nephews, these patriots are all directly related to you! 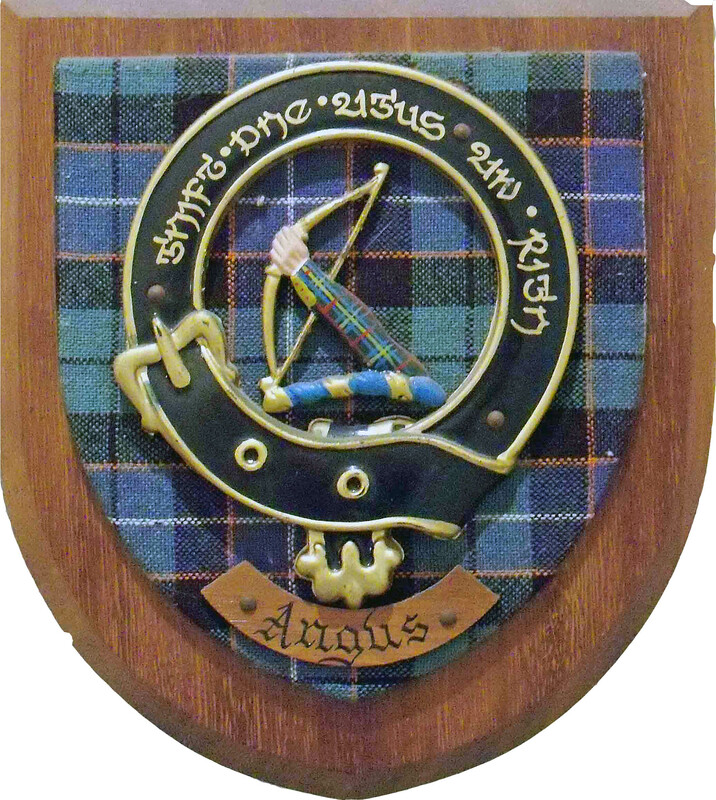 They are your fifth/sixth great grandfathers! 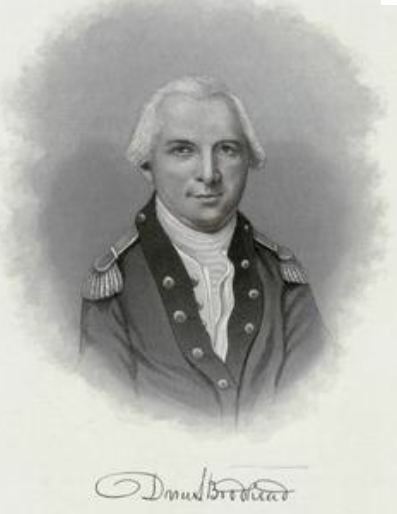 Lt. Col. Samuel Crow, b. 1741, Woodbridge, NJ; d. 1801 Woodbridge, NJ; Service in NJ militia. (DAR Ancestor no: A028247); married to Elizabeth Potter. Frederick Davis b. 1701, Marbletown, NY; d. 1804 Stroudsburg, PA; Per Sylvester’s History of Ulster Co., NY, p. 74, Frederick signed articles of association for Ulster Co. (DAR Ancestor no: A030300); married to Margerie Van Leuven. Andrew Dingman Jr. b. 1752 Northampton Co., PA; d. 1839 Pike Co., PA. Served in the NJ militia as a staff officer with Captains Van Etten, Nelson, Homer, Westbrook; Took oath of allegiance in 1777. (DAR ancestor no. A032282). Married to Jane Westbrook. Father of Daniel Westbrook Dingman whose daughter Cornelia was married to Garret Brodhead (1793-1872). Andrew Dingman Sr. b. 1711 Kinderhook, Albany Co. NY; d. 1796 Dingman’s Ferry, Northampton Co., PA. Signed oath of allegiance in 1777; suffered depredations (DAR ancestor no. A032281). Married to Cornelia Kermer. Father of the aforementioned Andrew Dingman Jr.
Capt. Samuel Drake, b. 1740 New Jersey; d. 1789 Lower Smithfield, Northampton Co., PA. Served in Capt. Jacob Stroud’s company (4th Battalion) of Pennsylvania militia, 1775, and as captain, 1776. (DAR ancestor no. A033472); married to Sarah Handy. Colonel James Easton (1728-96), was with Ethan Allen at Ticonderoga; commanded a Berkshire County regiment in the Canadian expedition, 1775. B. Hartford, CT; d. Pittsfield, MA. (DAR ancestor no. A035836); married to Eunice Pomeroy. Normand Easton b. 25 Jun 1758, Litchfield, CT; d. 1806, Greenville, NY; Private; served under Capt. Hine, Lt. Wm Preston, 13th Regiment Militia (DAR Ancestor no: A035842); married Merab Perry after the war. Pvt. 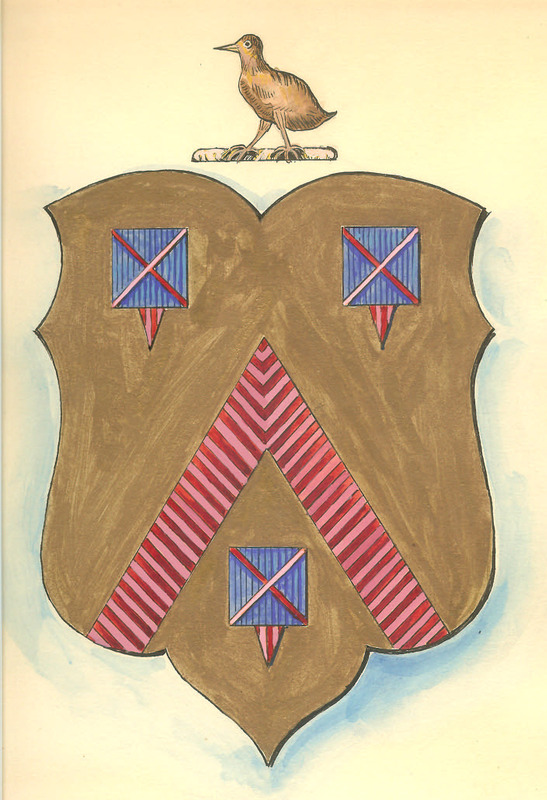 Hezekiah Hand, b. cir 1730, d. ante 28 April 1800 in Westfield, NJ; private in the Essex Co., NJ militia, serving under Captain Benjamin Laing. (DAR ancestor no. A050961); married to Nancy. Samuel Barron Jaques, b. abt. 1740, d. 1798 Woodbridge, Middlesex Co., NJ; commanded Rahway Company during the Revolutionary War; married to Mary Coddington. Pvt. Isaac Newman (1731-1808), served as a private in the Associated Exempts of Westchester County at the battle of White Plains. b. Stamford, CT., d. Charlton, N. Y. (DAR ancestor no. A082986); married to Abigail Webb. Shubael Trowbridge, b. 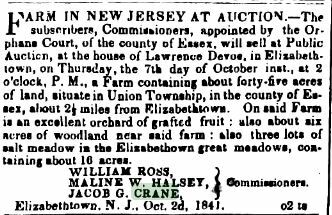 1739 Morristown, NJ; d. 1782 Hanover, Morris Co., NJ. Served as a private in Capt. James Keene’s Company, Eastern Battalion, Morris County (NJ) Militia (also known as “The Rams Horns Brigades” (DAR ancestor no. 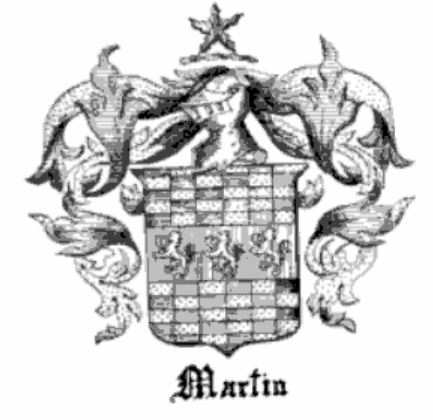 A116272); married to Mary Bayles. David Wait, b. 1754 Edinburgh, Scotland; d. 1810 Perth Amboy, NJ. According to the 1893 Biographical and portrait cyclopedia of the Third congressional district of New Jersey, he came to the colonies as a British soldier, took part in an engagement at Manhattan Island, and was taken prisoner by Americans and retained as a POW in Jamestown, VA, until peace was proclaimed. He then went to Sussex, Essex Co., NJ, and finally settled in Perth Amboy, where he began working as a carpenter in the building known as the “Old Castle” on Water Street, the oldest building in the city. An entirely different account was offered by Harlan Mendenhall in his 1903 book, Presbyterianism in Perth Amboy, New Jersey: “He ran away from his native land to escape service in the army, but the troublous times in America aroused his sympathy and he enlisted in the Continental army. He was captured by the British forces and incarcerated in the Barracks. When peace was declared he became a resident in the city and his descendants are now on the rolls of our church.” Married Irene Bell after the war (in 1784). 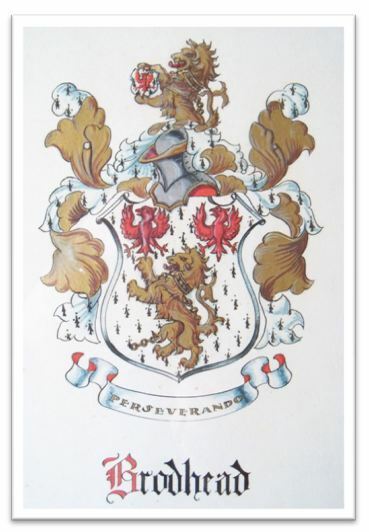 Johannis Westbrook (DAR Ancestor no: A123311); married to Marie. Capt. Martinus Westbrook, b. 1754, Sussex Co., NJ; d. 1813, Sussex Co., NJ. Served as a captain, 3rd Regiment, Sussex Co., NJ, Militia. (DAR ancestor no. A123311); married to Margaret Lowe. Lt. Elias Winans, b. 1742, Elizabethtown, NJ; d. 1789, Elizabethtown, NJ. 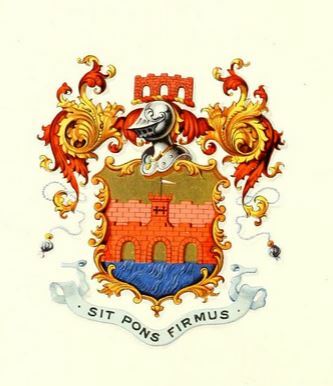 Service: New Jersey (DAR ancestor no. A128111); married to Esther Perlee. Pvt. Enos Woodruff, b. 1749 Elizabethtown, NJ; d. 1821 Elizabethtown, NJ; served as a private in the Essex Co., NJ, militia. (DAR ancestor no. A128636); married to Charity Ogden. Major Reuben Potter, b. 1717 Woodbridge, NJ; d. 1799 Woodbridge, NJ; served under Col. Nathaniel Heard, lst Regiment, New Jersey Militia; married to Deborah (last name?, d. Oct 1, 1762).